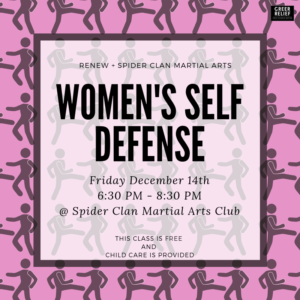 Learn how to defend yourself and balance your body. This class is completely free and child care will be provided. 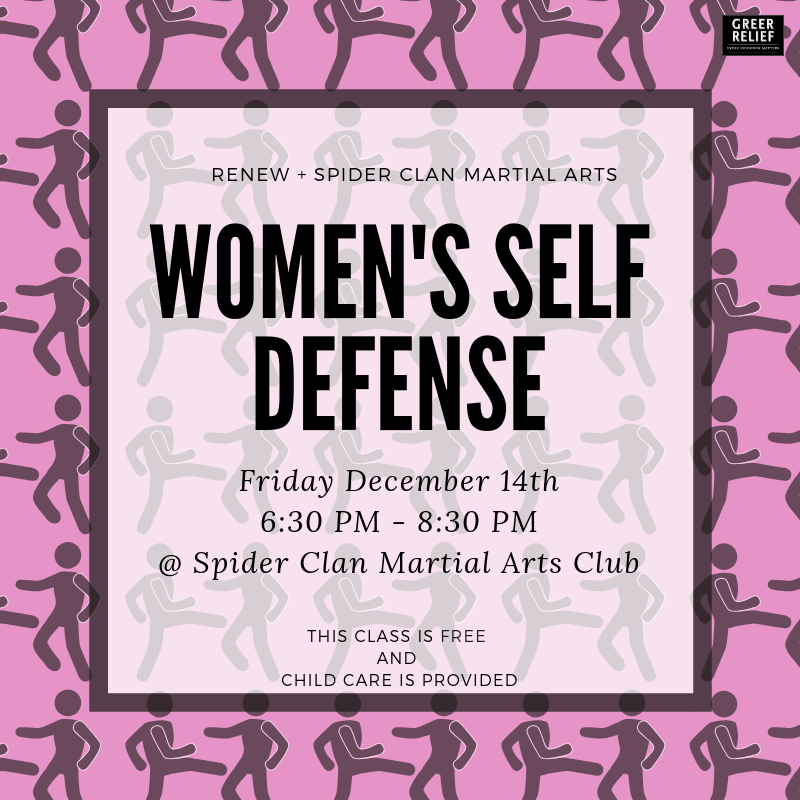 This class will be taught on December 14th from 6:30 PM – 8:30 PM at Spider Clan Martial Arts Club.